Christmas Party & Production...THIS FRIDAY EVENING!! This Friday night is gonna be "happening" at CCF!! 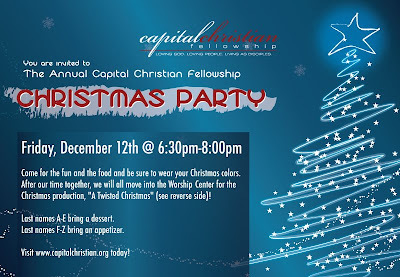 6:30: Party, music, and lots of FOOD! 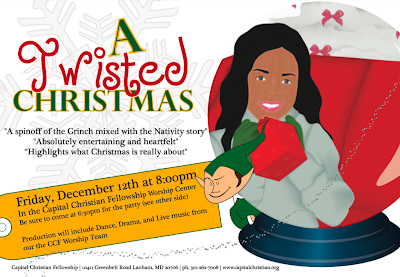 8:00: Our very own Christmas Production, "A Twisted Christmas"!